Replace bulky, heavy metal trays with lightweight plastic. Color-code with six decorator colors. 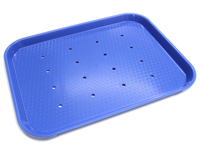 Use as Floor Trays, Mayo Trays, Custom Trays, Class 4 Trays, Procedure Trays, Surgical Trays. Select from five sizes. 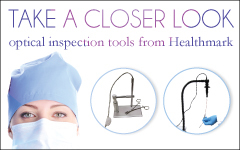 Available without and with holes Texture surface prevents delicate instruments from sliding. 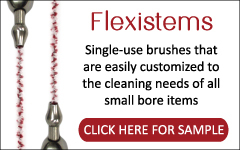 All sizes and styles are reusable, and are EtO, Steam and Gas-Plasma autoclavable.